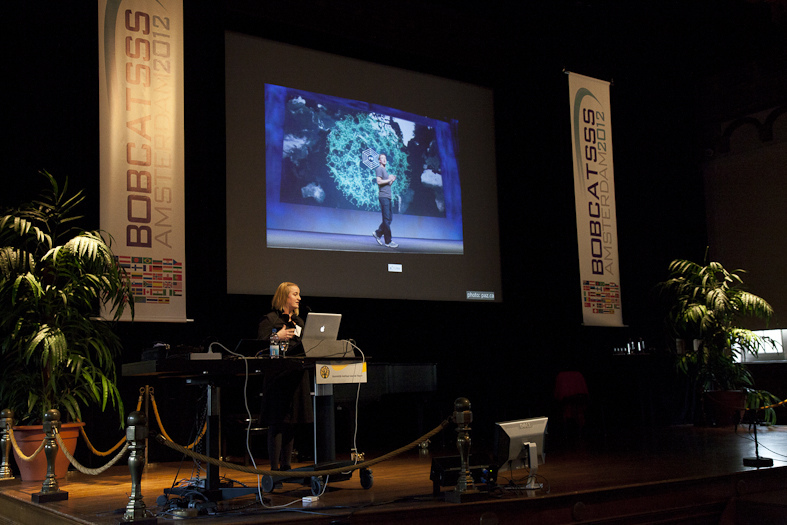 On the 23rd of January I had the honor to give a keynote lecture at the Bobcatsss 2012 conference. I talked about ‘The Like Economy and the Politics of Data in the Social Web’ based on a co-authored paper with Carolin Gerlitz titled ‘Hit, Link, Like and Share. Organizing the social and the fabric of the web in a Like economy’ (2011). After providing a medium-specific take on Facebook’s way of organizing the social web through a data-intensive infrastructure enabled by social plugins and the Social Graph I moved into the politics of data and dataflows. How can Facebook users and non-Facebook users respond to their (un)willing contributions to the emerging Like Economy? What is the current state of data-mining practices of social media platforms and what tools, techniques and alternative platforms are available to make these these practices visible, address them and possibly subvert them? During the talk I showed some tools that will disable dataflows between websites, users and social media platforms, including: Facebook Disconnect, Disconnect, Ghostery and the Facebook Privacy List for Adblock Plus. The whole talk (40 minutes) is available as a web lecture. Previous Previous post: What does Google mean with its Google+ tagline?